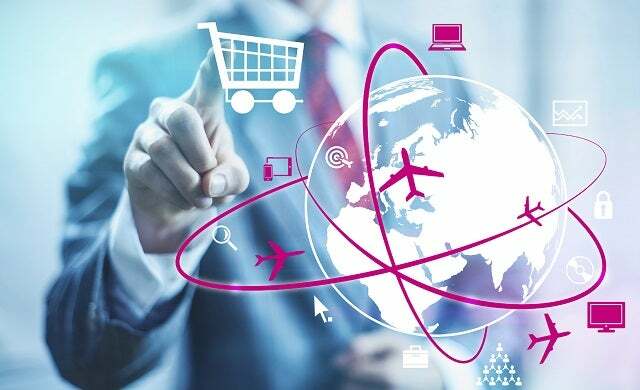 Why start an e-commerce business? Online retail is on the rise. According to Nominet, one in four retail purchases are now made via the web and a mammoth £68.2bn was spent online in the last year alone. The e-commerce market is also set to double in size by 2018 – boosted by sales on mobiles and tablets. Coupled with the growth in technology platforms and the growing popularity of marketplaces such as eBay Etsy, and Amazon, it has become easier than ever for a student novice to start an e-commerce business. Budding student e-commerce entrepreneurs are also in good company. Research from Santander found that 49% of UK student entrepreneurs retail their products or services through their own website. It’s possible to start an e-commerce business for under £100. Once you’ve identified the product or service you’re going to sell, or even resell, you will need to purchase a domain name which can be purchased for as little as £3 depending on the domain extension (.com, .co.uk or niche domains such as .london) – visit our guides on buying a domain name here. You will then need to arrange web hosting. You can purchase a third-party hosted e-commerce solution, such as GoDaddy, 1&1 or 123-reg, which manages hosting on your behalf or you could choose to manage your own hosting; the latter option will require technical skills and resource. Web hosting options vary in price from £4 or £5 for basic hosting to over £30 for premium services. Once you’ve got your domain name and web hosting sorted, you’ll then be able to turn your e-commerce idea into a reality through the use of shopping cart software such us Shopify, Magento and Sellr. You’ll also need to decide on your e-commerce website design and how you will accept payments; PayPal or WorldPay are popular options. Typically, shopping cart providers offer the whole package within one; so hosting, payments, and the ability to buy a domain. Find out more about getting your business online here and check out our step-by-step beginner’s guide to creating an e-commerce website. The Glasses Direct founder started his designer eyewear e-commerce site (now known as MyOptique Group) while studying for an English degree at the University of the West of England in 2004 and his part-time university venture quickly took off, hitting £1m turnover in just 12 months. Recently awarded an OBE for his services to business, the retail entrepreneur exited MyOptique Group in 2013 after selling his shares to take up a position at Google. At the time of his exit, the business employed over 150 people with sales of £29.9m. Discussing why he found university to be the perfect environment to start a business, Murray Wells said: “You’ve got a lot of time around your studies […] to think up business ideas. You also have the resources, libraries and specialists in whatever field you need, and you’ve got the tools, the IT, and infrastructure to start a business.